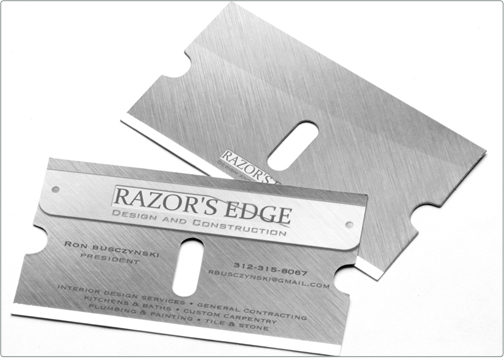 This Silk Business Card was designed for Razor's Edge - a design and construction company. The design includes spot gloss highlights and decorative silver foil. A custom shape was developed and used to create a custom die. 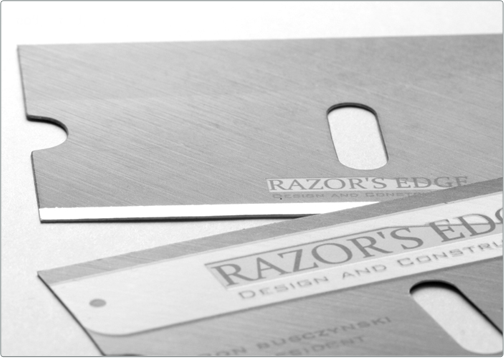 This provided the business card with the identical look and cut out of an actual razor. 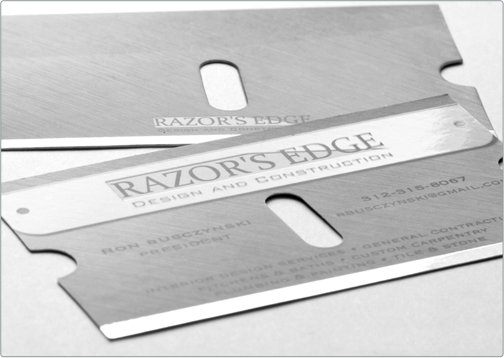 The bottom of the card is lined with silver foil for a true razors edge.